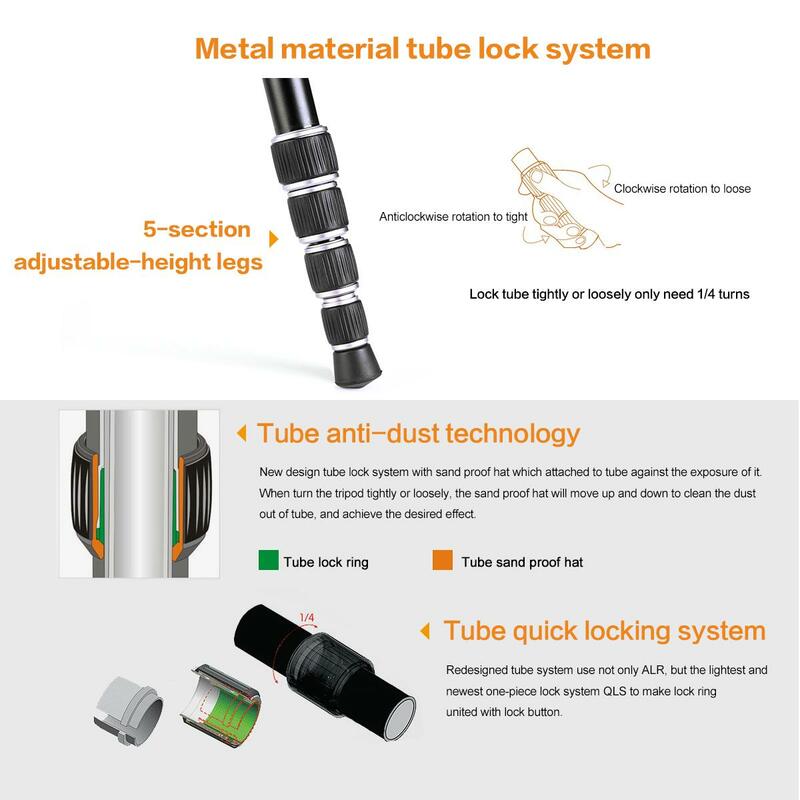 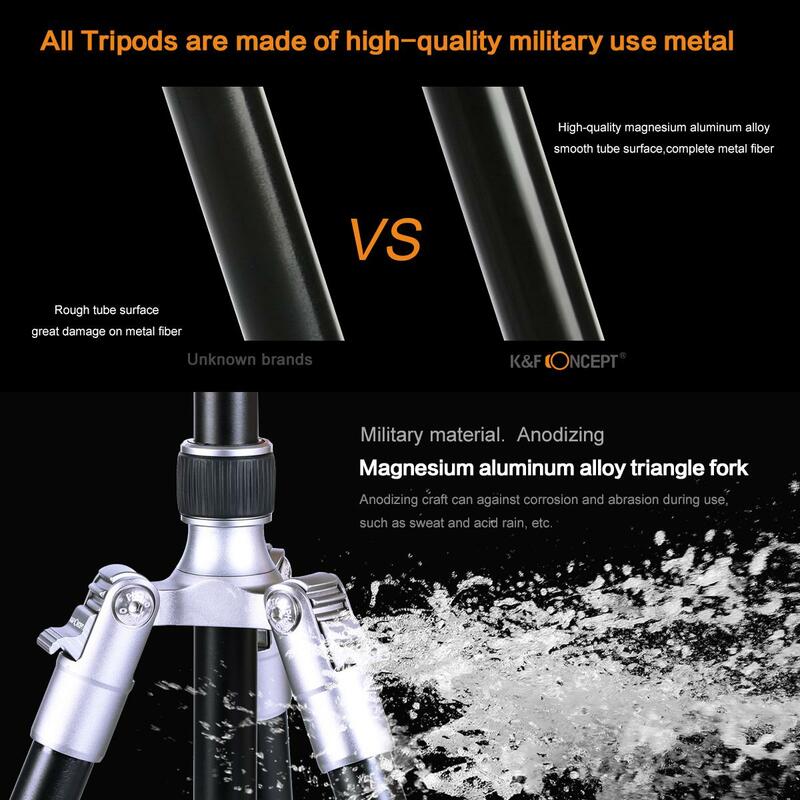 • Light Weight: Anodic oxidation processed anti-corrosion magnesium and aluminum alloy tube. 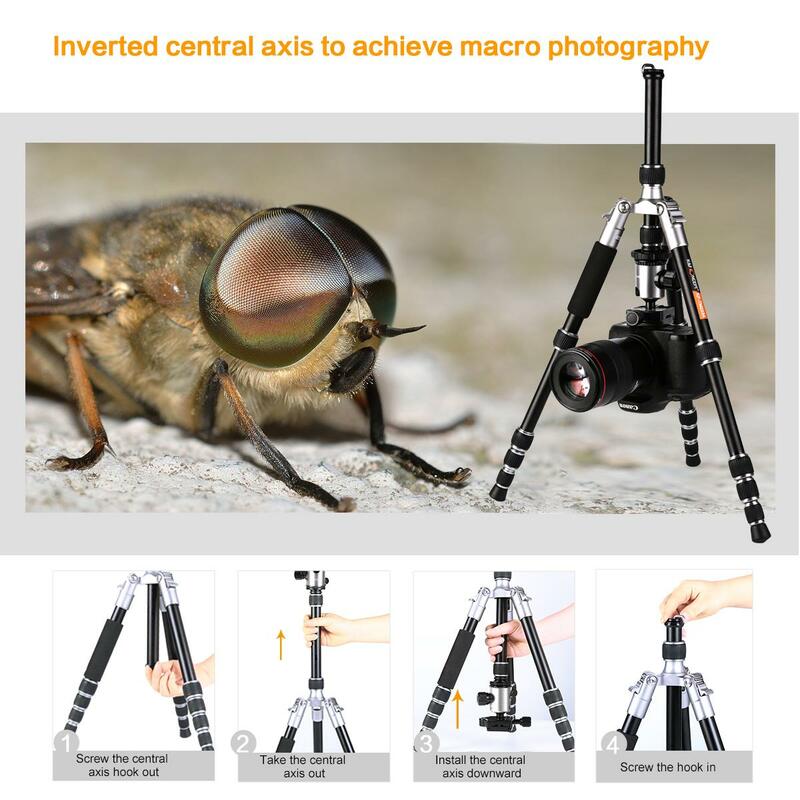 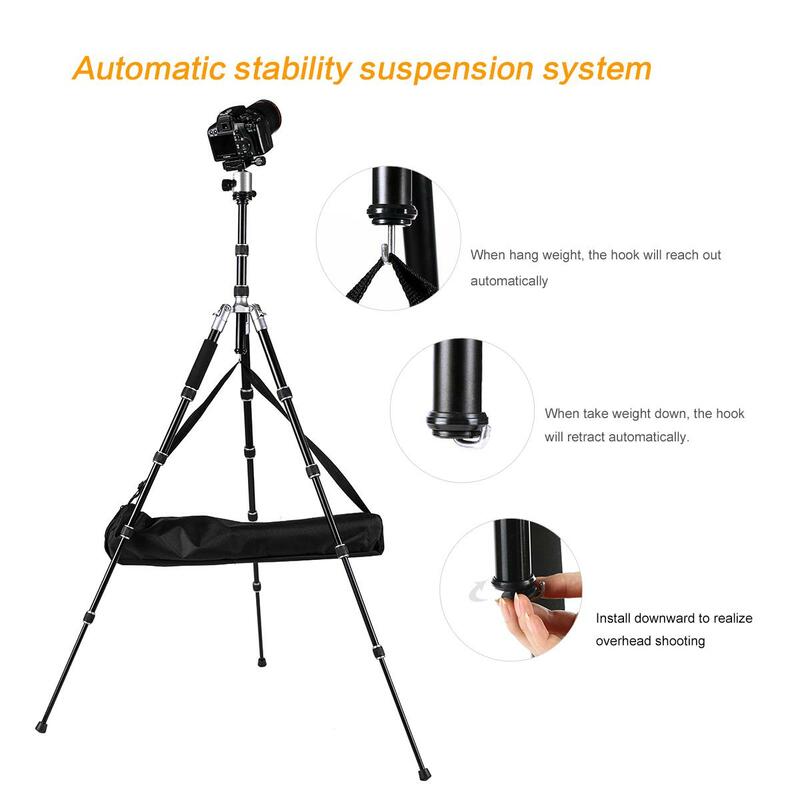 It\'s ideal for indoor and outdoor photography, such as sports activities, camping, family gatherings and much more. 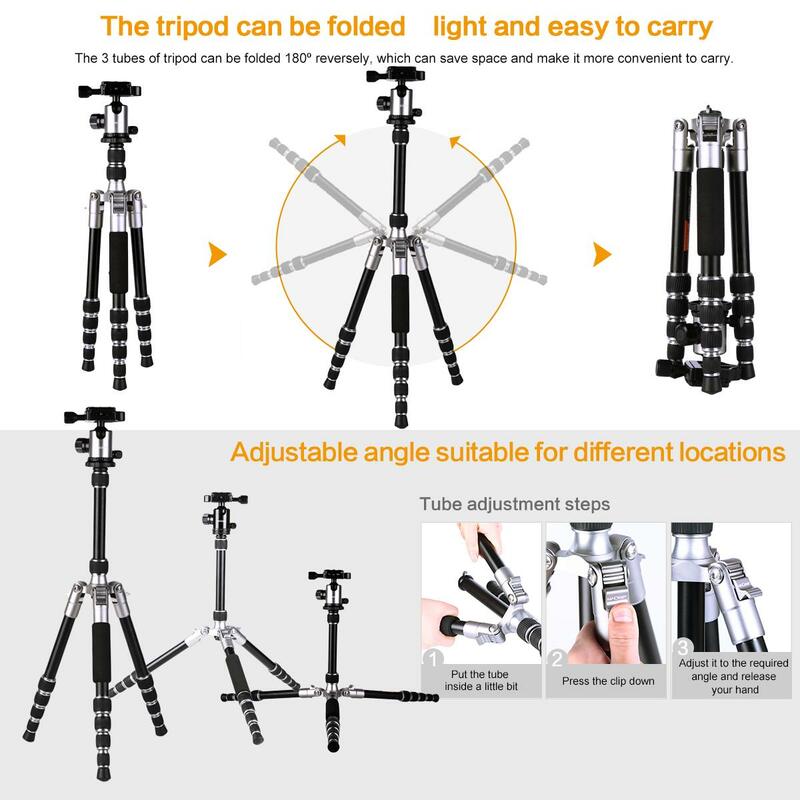 • The compact tripod legs can be inverted and folded back 180 degrees, making it small enough to carry just about anywhere. 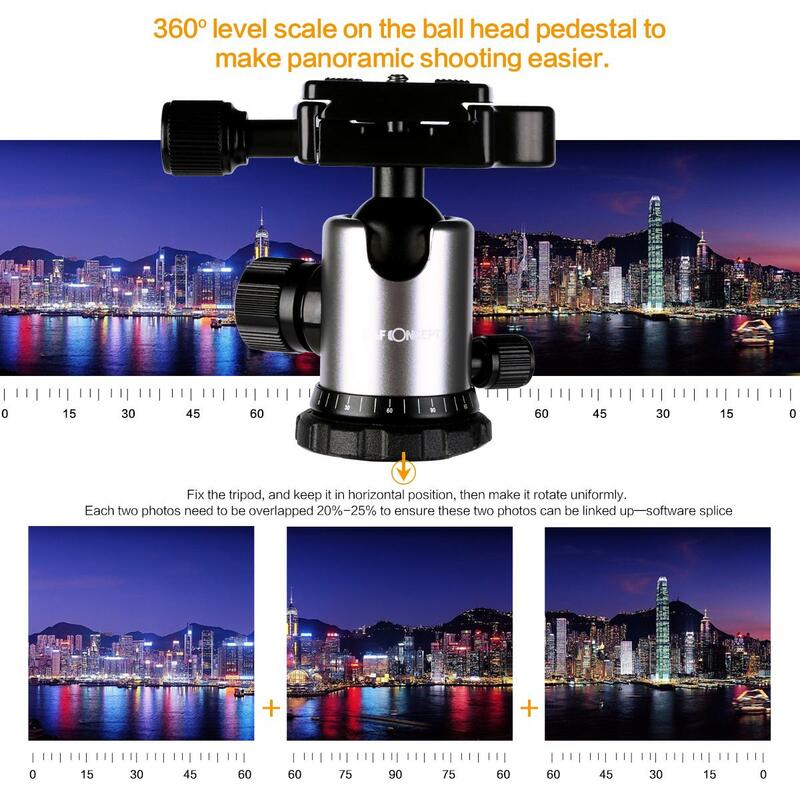 • 60-degree Panning: Accurate panoramas can be easily orchestrated using the graduated panning scale for accurate image alignment. 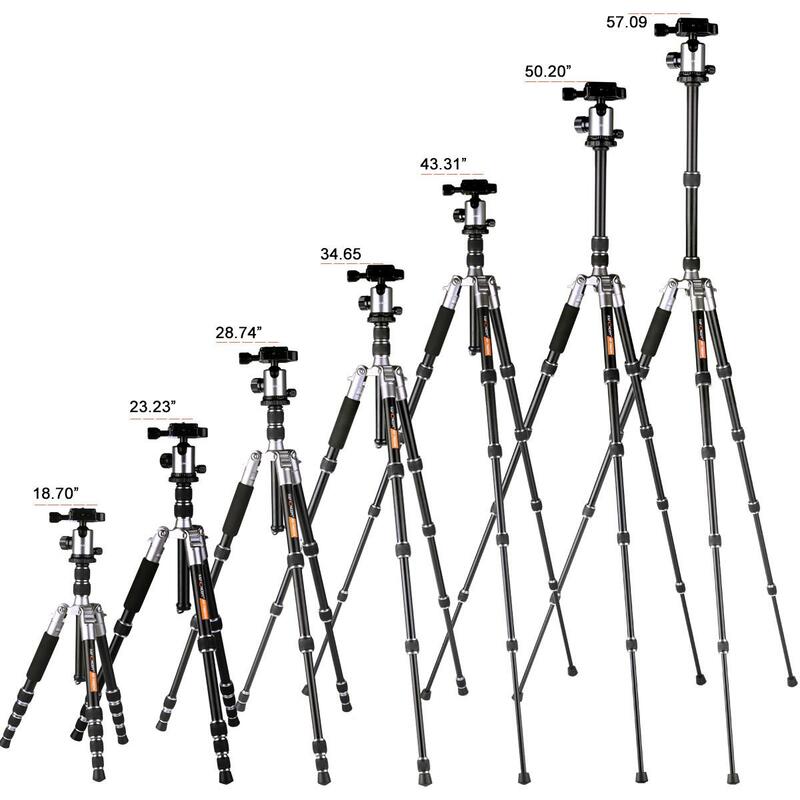 • Five Leg Sections: Get the height you need and ultimate versatility. 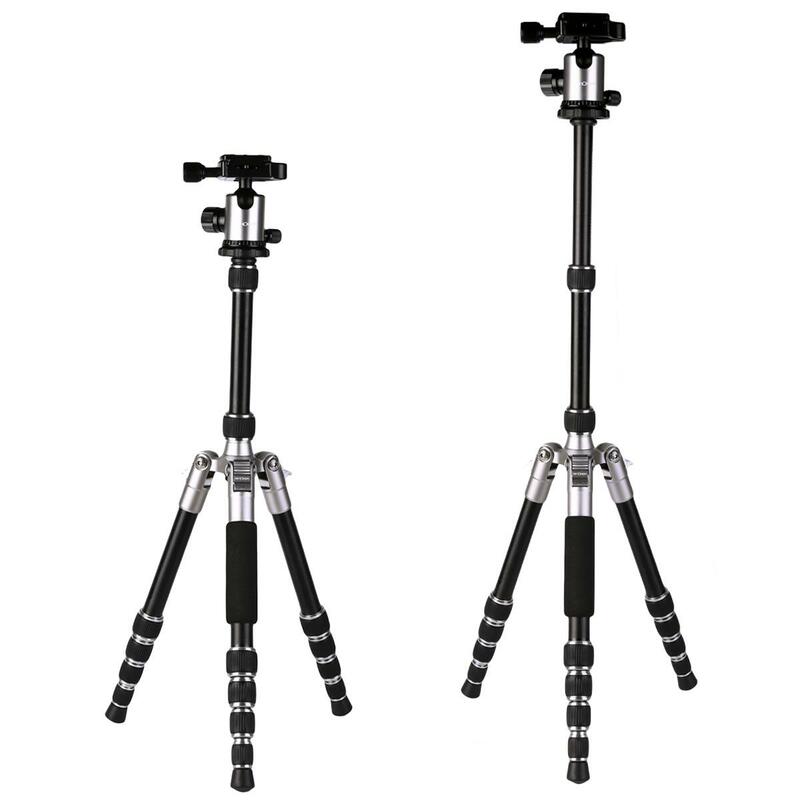 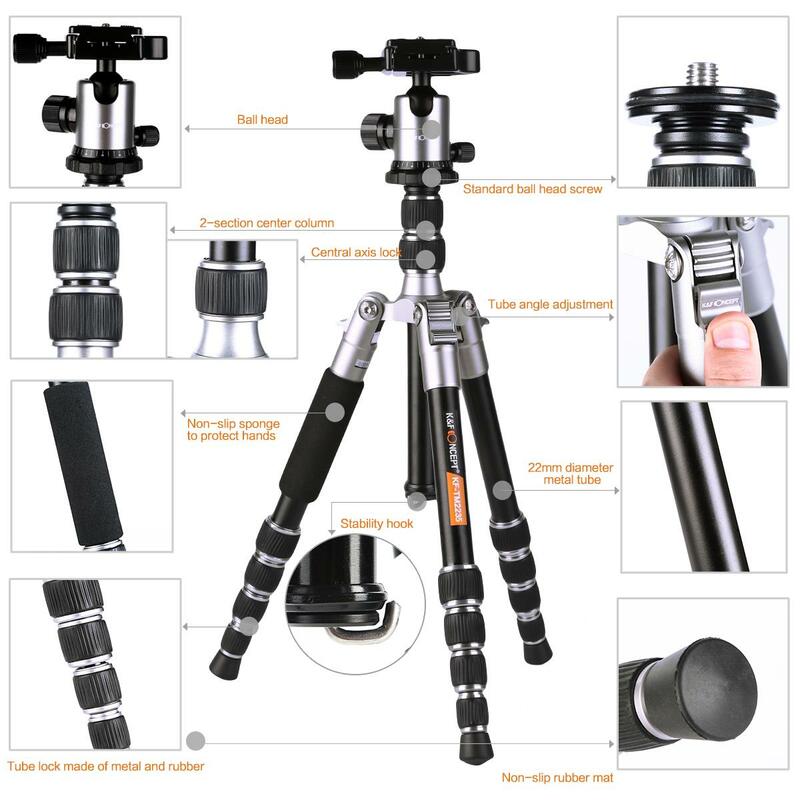 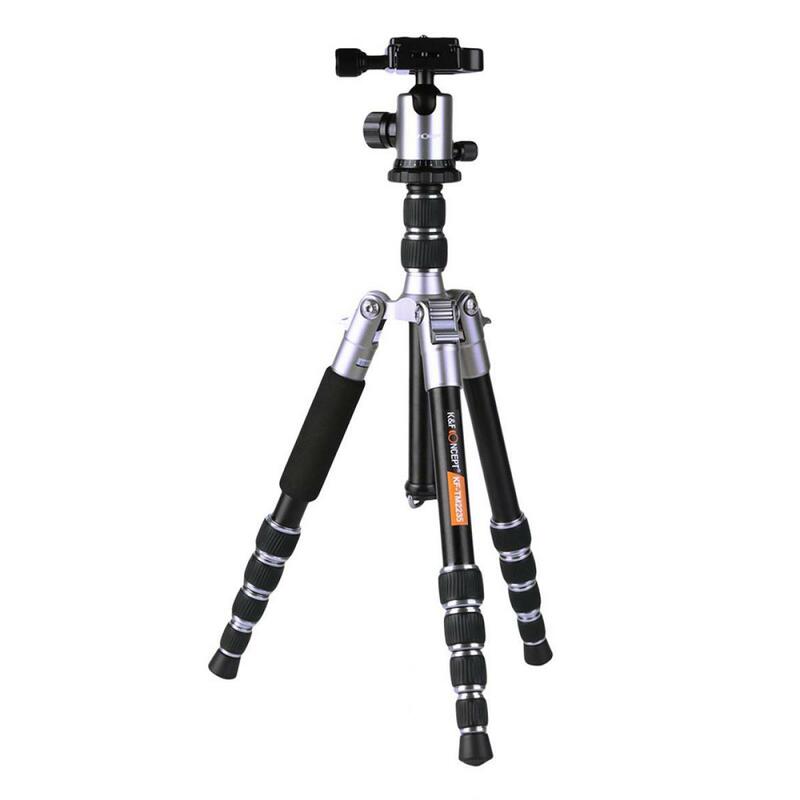 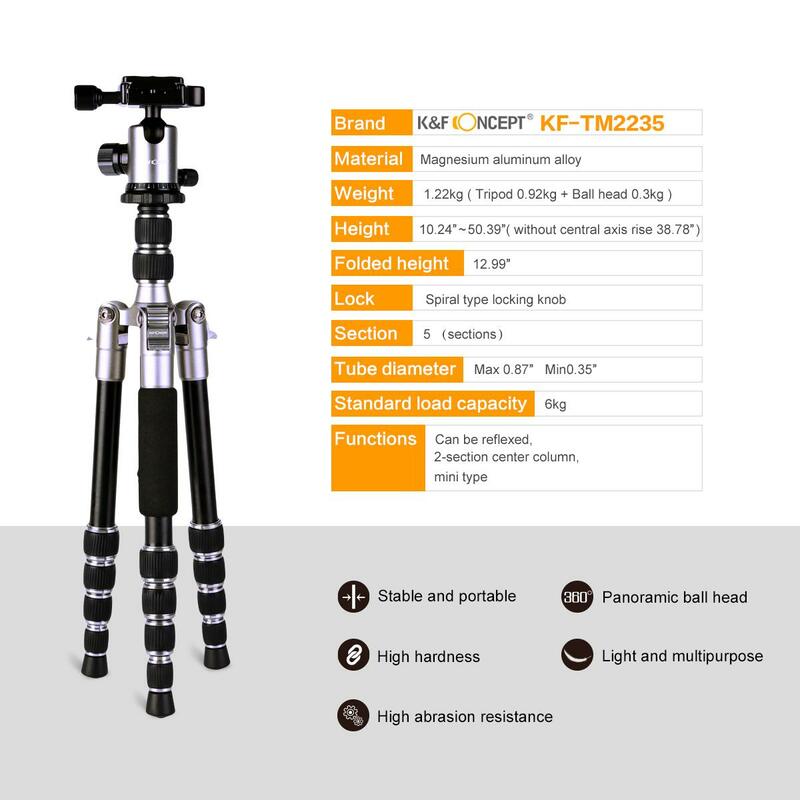 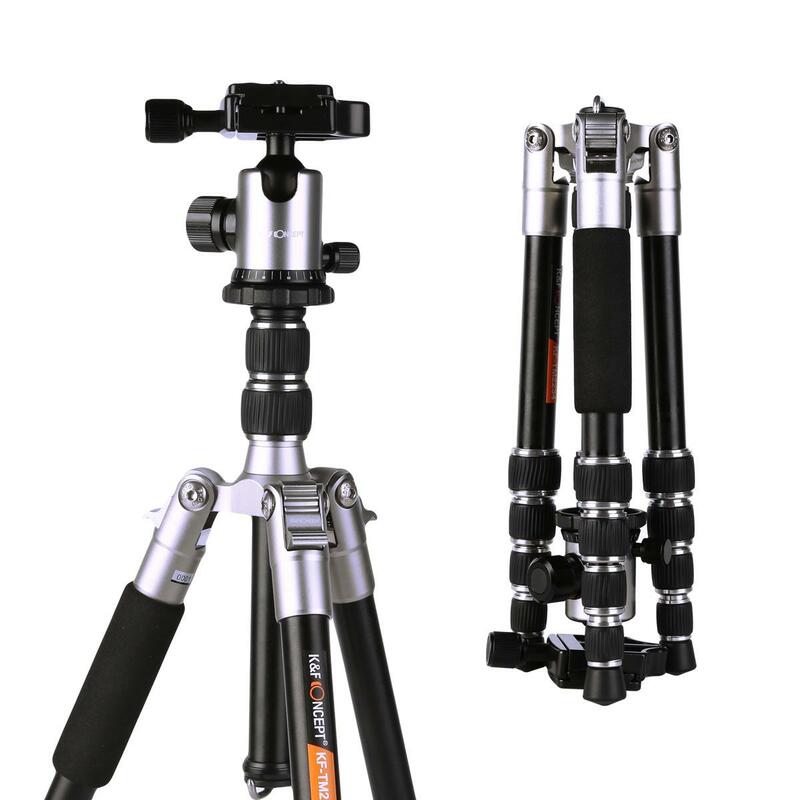 Twist Lock Legs with Anti-Rotation System: innovative rubberized locking grips combined with anti-rotation legs enable fast and fumble free set up plus weather and dust-resistance.This complete tripods comes with 2 Sections Center Column: Get the height you need and ultimate versatility.